Dr. Sawatzky’s main research focus is mobility and quality of life for people with SCI and related spinal cord diseases (SCI/D). Specifically, she has done considerable research on wheelchair propulsion in both powered and manual wheelchairs, looking at how to improve efficiency of the manual wheelchair (caster sizes) as well as innovative assistive devices such as the SmartDrive or Rowheels which were designed to enhance wheeled mobility. In addition to assistive devices she is also part of a team creating a mobile app to help people with SCI manage the complications associated with having an SCI. Measuring drag forces on a treadmill to assess influence of caster size. She is currently studying the long-term outcomes of those with a congenital spinal cord disorder called Amyoplasia, a sub-group of patients diagnosed with Arthrogryposis. She has recently published the largest international adult outcome study of this population using the Rick Hansen’s Global Research Platform (RHI-GRP). She now is creating an ongoing registry funded by CIHR to study this rare population over time. Dr. Sawatzky is also interested in energy expenditure and how to reduce the amount of energy expended in walking or wheeling. Because individuals with SCI and mobility disabilities are prone to fatigue, even small energy savings are bound to translate into improved quality of life. Dr. Sawatzky is a Principal Investigator at ICORD and an Associate Professor in the Department of Orthopaedics at UBC. She completed her BPE and MPE at the University of British Columbia. She obtained her Ph.D. from Simon Fraser University. 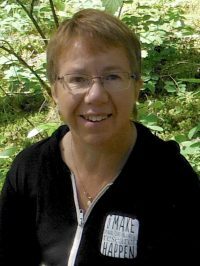 Because her work involves direct contact with people with SCI, Dr. Sawatzky is happy to have the access to these people that ICORD environment provides. She enjoys the relationship between researchers and individuals with SCI/D. ICORD also hosts a collegial environment between the students, staff, and faculty, as well as up-to-date equipment and the RHI-GRP. She teaches in the Faculty of Medicine communication skills and professionalism, and is currently a coach for medical students. 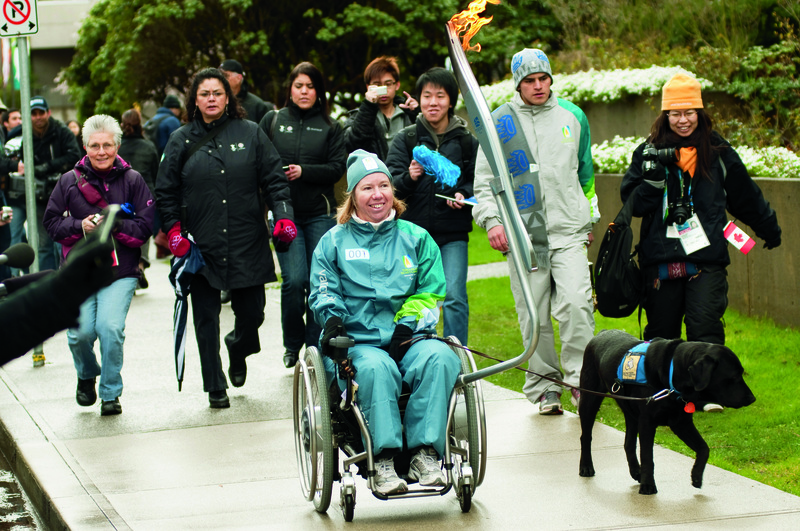 She also helps to ensure the patient’s voice is part of medical education at UBC. She writes occasionally in a blog incorporating life experiences and her passions at work, titled Pump My Wheels, can be read here. Dr. Sawatzky has recently received several grants in collaboration including CIHR with Drs. Noemi Dahan-Oliel (U of Montreal), Ann Marie Davison (Kwantlen Polytechnic), John Street (UBC), Patricia Mills (UBC) and Judith Hall (UBC Emeritus, Genetics), Harold van Bosse (Temple University, Philadelphia), Vanessa Noonan (UBC) towards creating a paediatric and adults Arthrogryposis registries. She has recently begun collaborations with ICORD researchers Drs. Carolyn Sparrey (SFU), Coree Laule (UBC), along with Ryan D’Arcy (SFU), Teresa Cheung (SFU) and Ruth Grunau (UBC) to study the brain adaptations in individuals with Amyoplasia. She is also working with Dr. Rachael McDonald from Swinburne University in Australia to establish the Oceania Seating Symposium in New Zealand/Australia. This is in collaboration with her work on the International Seating Symposium which brings approximately 900 therapists, clinicians and engineers every other year to Vancouver to learn about the latest developments in seating and mobility. Finally, Dr Sawatzky works closely with ICORD researchers, Drs Ben Mortenson, Patricia Mills, Kathleen Martin Ginis to develop a mobile app for helping patients with SCI to management their day to day challenges living with an SCI evaluating assistive devices. Wheelchair caster size is an important component that should not be overlooked for deciding what to select when setting up a wheelchair. If a person tends to spend a lot of time outside or on carpet then a 5” and even better yet 6” casters significantly reduces rolling resistance. Larger casters are not ideal inside but one must weigh the costs and benefits. The biomechanics of the Smartdrive (rear mounted power assist on manual wheelchairs) showed that participants did not have to significantly increase their push force to start the drive. People could stop it quicker and with less force while using the Smartdrive. This device may be very helpful for people to use who have lessened strength due to overuse issues from wheeling. People born with arthrogryposis (mainly Amyoplasia), despite their significant physical challenges with activities of daily living and mobility manage to become more educated than the non-disabled population, 50% get married and 75% manage to live independently or with a partner/roommate. They work most commonly in managerial or administrative jobs. They experience a significant amount of pain and require 5-10 surgical interventions to manage their limb/spinal deformities. Dr. Sawatzky is accepting students who have their own funding sources. Please contact Dr. Sawatzky with inquiries. Dr. Bonita Sawatzky talks about her research focuses and some of her findings. Dr. Sawatzky talks about her Segway research in her ICORD Research Profile video. Rocha, LS, Sawatzky, B, Mortenson, WB. 2018. 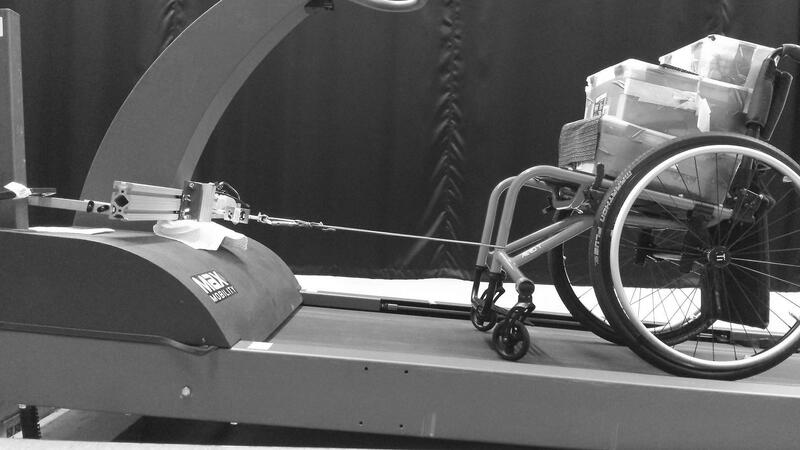 Efficiency and perceived exertion of novel wheelchair wheels: A comparative study.. Assist Technol. doi: 10.1080/10400435.2018.1475431. Kirby, RL et al.. 2018. 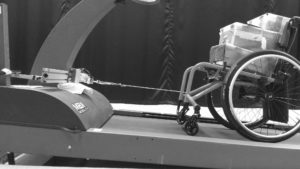 Extent to Which Caregivers Enhance the Wheelchair Skills Capacity and Confidence of Power Wheelchair Users: A Cross-Sectional Study.. Arch Phys Med Rehabil. doi: 10.1016/j.apmr.2017.11.014. Shojaei, MH et al.. 2017. Abstracts and Workshops 7th National Spinal Cord Injury Conference November 9 - 11, 2017 Fallsview Casino Resort Niagara Falls, Ontario, Canada.. J Spinal Cord Med. doi: 10.1080/10790268.2017.1369666.